It's not every day that you see a billionaire in tears, but hedge fund manager Bill Ackman got choked up Tuesday as he spoke about Herbalife -- the nutritional supplement company that he's been waging a war against for about two years. Ackman alleges Herbalife (HLF) is a pyramid scheme. He reiterated that again in a lengthy presentation today, berating the company for exploiting immigrants and the poor with "nutrition clubs" and programs such as "success university." "These people work really hard, and unfortunately they don't realize that they've been defrauded," he said of the members of Herbalife's distributor network. The company's products aren't sold in stores, only via direct sales. Investors were unimpressed with Ackman's latest arguments. Herbalife shares rallied over 20% Tuesday, erasing the previous day's losses and then some. The stock tumbled Monday after Ackman said his presentation would deliver a "deathblow" to the company. While the stock is still down for the year, it has risen steadily since Ackman first unveiled a bet that it would fall to zero back in December 2012. So far, Ackman said his fund has spent $50 million to support his cause, including hiring researches and undercover investigators. The presentation took an emotional turn after Ackman opened up about his own family's history of immigrating to the U.S. from Russia and working their way up. He said Herbalife is selling a fictitious version of the American dream. "Michael Johnson is a predator," he said of Herbalife's CEO. "This is a criminal enterprise. I hope you're listening Michael. It's time to shut this company down." In response, Herbalife issued a statement dismissing Ackman's claims and arguing that his presentation actually demonstrates "that the facts are on our side." Herbalife says its business practices are no different than other "multi-level" marketing companies, such as Avon (AVP) and NuSkin (NUS). 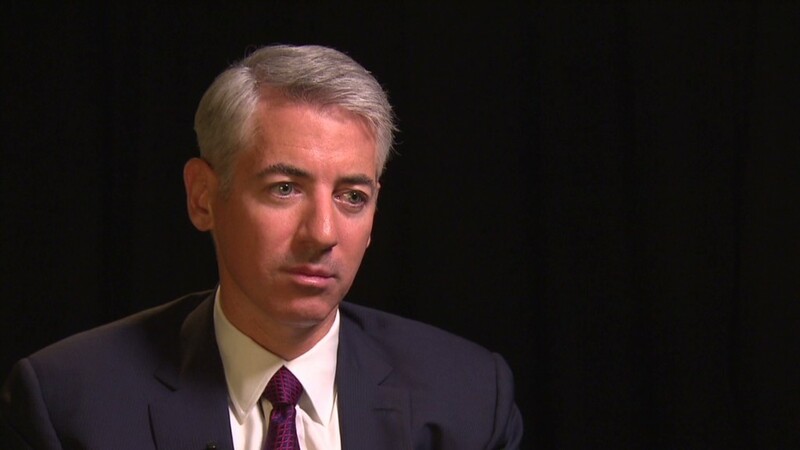 The company has accused Ackman of using "propaganda" to manipulate its stock price. "Today is evidence that Bill Ackman will not succeed," the company said. In March, Herbalife disclosed that it is being investigated by the Federal Trade Commission, but it said that it is cooperating with the inquiry and hopes that it will clear up "misinformation" in the market.